Offshoring - A business growth strategy. A good offshoring strategy has become a key enabler of high growth and performance in companies that recognise that their competition is increasingly coming from overseas where cost structures are lower than at home. We truly do have a global economy now and it is not only here to stay, but developing rapidly. The internet and modern transportation methods have largely neutralised the competitive advantage that distance and geographical reach once gave companies. Free trade agreements between countries are also changing the competitive landscape with import duties and taxes less of a concern. Now people can easily and quickly source goods and services from anywhere in the world. Therefore it's not optional anymore for your company's own prices and overheads not to be internationally competitive. In operating Depth Offshore my team and I are helping clients relieve cost pressures by up to 75% in salaries and other expenses associated with employing people locally. In some cases it has meant that our clients business has maintained its viability and then be able to go after foreign markets themselves. Smart operators are keeping their IP development team and top minds at home and then supporting these people with a talented offshore team to enable them to cost effectively accomplish more important and dollar productive work. Offshoring is a business growth strategy. Fend off global competition and therefore remain viable with globally competitive labour rates. You can save up to 75% on salary costs and liberate working capital for business development and growth. If your prices are globally competitive then you can grow your company's market internationally from home. You do not have to be a huge corporation to offshore! SME’s are successfully doing this with Depth Offshore's assistance. Distance doesn’t matter any more. Free and nearly free internet technology like corporate Gmail, Skype, VOIP and video conferencing makes communicating with your offshore team like they are in the same building but on different floor. Depth Offshore will help you with this. Offshore to a single person or build a team. Be able to afford a higher performance team at home with the savings made on support roles locally. Increase productivity of your local staff by supporting them with an offshore team. Handle simple, repetitive tasks through to complex technical tasks offshore. Or handle a single project offshore. Flexible workforce. Scale your team size up or down rapidly and easily. Great, well educated talent that will work your preferred business hours. Hard working intelligent people with excellent English. People are dedicated solely to your business so they become part of your team. +Depth Offshore does not believe in accomplishing tasks by allocating work to a pool of people. Free up your office space locally and lower your capex on office furniture and equipment. Access to skills and resources that might not be currently available internally. Nearly any task can be outsourced. Outsource more menial/repetitive tasks to allow you to focus on the more important aspects of your business. Assign tasks to be completed overnight and ready for you to keep going the next day. Don’t have to worry about onerous employment laws and regulations. If a resource is no longer needed, or required for less time, the service is flexible. Faster turnaround time on some tasks as hours and days worked offshore are generally longer than most western countries. Good confidentiality and IP protection. One monthly fee that covers everything including office equipment. No additional charges or costs for superannuation, insurance or other benefits to pay and administer. All types of work can be successfully offshored from menial tasks through to highly technical work where special skills, experience and qualifications are needed. We have helped our clients get offshore support from clerks through to mechanical engineers, CPA accountants, graphic designers and top notch computer programmers. There are so many tasks that can be offshored these days with phone and internet technology coming so far. Click here for 99 more examples of simple tasks that can be offshored. In my own country, Australia, politicians seem to think they can keep placing more and more responsibility and cost on employers and magically businesses can absorb this. Well they can't and many SME's are groaning under the strain! What our governments are actually doing is making it harder and more expensive to employ people locally and thus making Aussie companies unable to compete internationally. A classic example of this is payroll tax. In Australia, if you manage to grow your business and employ more people then you get hit with a tax for doing this. Companies actually have to pay a tax calculated on the annual salary expense. What incentive does this give companies to employ more people locally? The rules of business as we have known them until now are being changed rapidly. The old models of a post industrialised world in numerous industries are being tipped on their head and rendered virtually useless by digitisation. New economy businesses are leveraging digital and virtual platforms, different employment models to strip out overheads, infrastructure and the need for large capital investment. With digital platforms even a one person enterprise can competitively take on huge corporations and destroy their business model. It is no longer about how many offices and locations you have, how many people you employ or the size of your capital reserves. The internet is spawning a new breed of customers who have virtually no loyalty in "old school" terms because they can go to another competitor with one "click" and get what they need. The new emerging generation of young entrepreneurs have a completely different mindset. They have grown up in an environment where, via the internet, they can access all types of services, groups and information for free or nearly free. Downloading apps/games, solving problems and accomplishing things for FREE in so many aspects of their life is their expectation. They also expect to get what they want NOW because more than ever before in human history they can. FREE and NOW is their default mindset and not only are they the entrepreneurs of the future they are also the customers of the future so we better be pleasing them. They don't believe in intellectual property rights, confidentiality, corporate structures, boards of directors, business rules and regulations or even borders between countries. They don't need them. Nor do they believe in personal privacy. Their view of the world is put it all out there and grow the collective intelligence of their generation through sharing and collaboration. This is a massive contradiction to traditional business thinking. Such a young entrepreneur on the rise is Thomas Suarez who is now about 14 years old. Check out the presentation he gave to +TEDx when he was 12. He is a perfect example of the type of competitive force that I am talking about. If you are old school you will probably be thinking..."So what?! He writes games apps about Justin Bieber. I don't need to worry about him". Well you do!! The lessons and breakthroughs he and others like him are inexpensively gaining building fun apps helps them refine their approach to be able to attack traditional business models. If an app he writes fails then it doesn't matter as it has only cost him his time and his parents 99 bucks. A cheap education in my book! Thomas is selling his Bustin Jieber app for 99 cents a download and it has gone completely viral. As he said he taught himself how to build the app and used a FREE software development kit to do it. Then for just $99 he is in the game competing against other huge multimedia companies putting enormous investment into finding the next killer app. Can you imagine the rate of return on that investment? Astronomical and enough to make the directors of an old school company weep. You cannot underestimate that globally there are tens, if not hundreds, of thousands of developers and people out there right now doing exactly the same thing. There is bound to be at least a few of them thinking about your industry or business model and how they can change it, better it and ultimately defeat you. James McQuivey and his thinking on this subject has been very influential in my own business approach. I credit him for some of the ideas in this blog and I strongly suggest you check out his work. 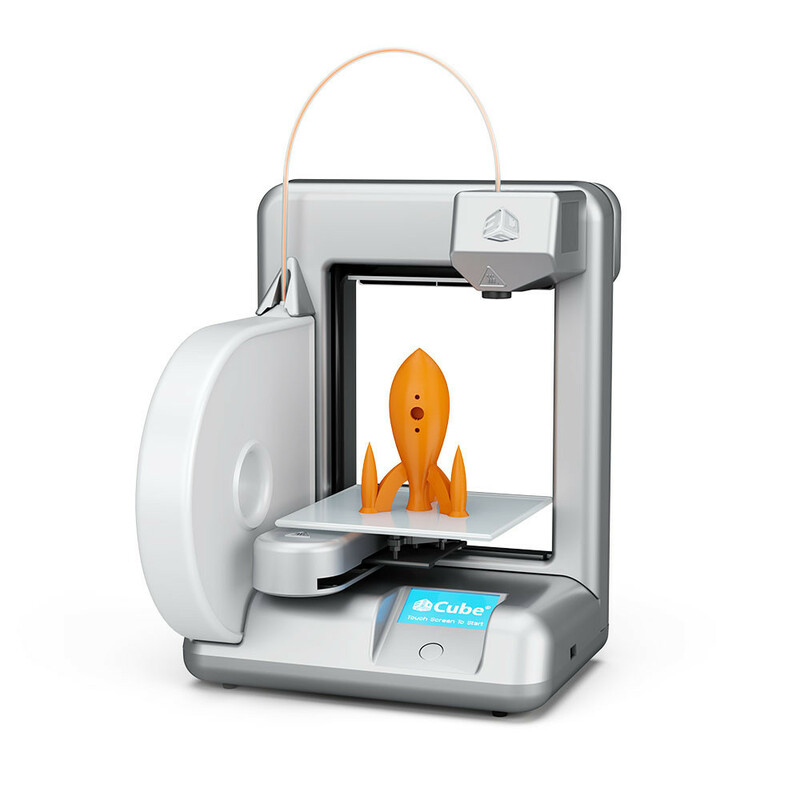 3D printing technology - total game changer for many businesses and logistics providers! I have been watching with interest the development of 3D printing technology and it's ever growing numerous applications. The impact of this technology for business and logistics companies is hard to forecast except to say it is huge! 3D printers such as the one pictured below are now available for home use at less than $2000 for a basic model. So what are the possibilities and implications for business? 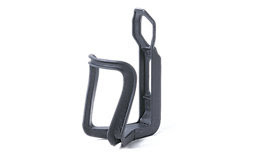 Lets say I want new water bottle cage for my +Specialized Bicycles mountain bike like this one. Currently I could buy it online and have it shipped to me in a few days or I could go to my local bike shop to get one. I think pretty soon the other alternative will be to buy the 3D file online and have it downloaded to my computer, just like a book from +Amazon.com or music from +Google Play or iTunes. I can then use the 3D file to print my own water bottle cage immediately at home. So, no waiting, no freight charges, no warehouse storage, no inventory to carry for the seller, no sale for the bike shop or online retailer and the supplier of the 3D file gets paid directly. Furthermore no import duty or taxes are being collected by Customs and there is a reduced environmental impact as there is no packaging required to then dispose of later. Nor will there be any carbon emissions from the ship, plane and courier van that would have delivered the item in the old school manner. Now a water bottle is not exactly a highly complex item but I think it illustrates the point I am making. The technology exists now to make simple items like this at home at affordable prices. Imagine what this technology can do to improve service from your typical mobile repair guy that might come to your house to fix your dishwasher for example. If he needed a part to complete the repair he could have a 3D printer in his van, or use yours, and create the part and install it on the spot rather than ordering it and coming back later if he didn't already happen to have it on board. The possibilities and applications are virtually endless. The efficiency gains for the end user and the supplier are immense. For the shipping and transport industry this 3D printing technology combined with densification of products will lead to a shrinking freight task. By densification I mean things such as, flat packed furniture, data hard drives being superseded by USB sticks, CD and DVD's gradually being eliminated by digitisation and online delivery, detergents and even food being shipped as concentrates. This all means less transport capacity required and a diminishing need for customs brokers and warehouses. Freight forwarders will increasingly be transporting the printers and composites rather than the finished goods themselves. 3D printing might even prove to be a great equaliser for the rest of the world in competing against low labour cost countries such as China and India. 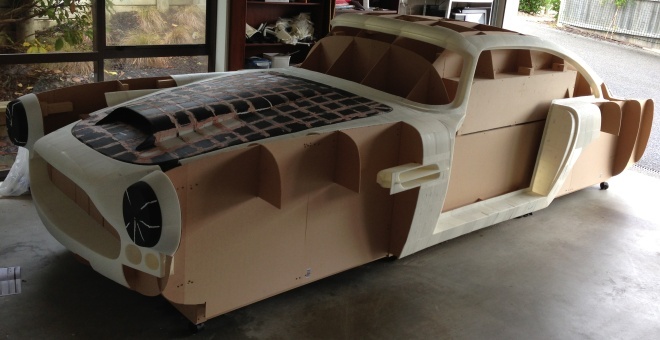 If consumers can make their own items efficiently at home they will be looking for the best design as the manufacturing and freight costs will be pretty much eliminated. Price will be less relevant. You really need to be thinking ahead about how 3D printing and other technologies will impact you and your business and start re-engineering the way you do things now. It will revolutionise more things than we can currently imagine. The Ocean Economy beyond shipping, fishing and tourism. The Organisation for Economic Co-operation and Development is running a project to explore the prospects of developing an ocean based economy with particularly emphasis on emerging ocean-based industries. The project divides the ocean economy into established marine activities and emerging activities. Established marine activities encompass shipping and shipbuilding, capture fisheries, traditional maritime and coastal tourism, and port facilities and handling. Emerging ocean-based industries include: Off-shore wind, tidal and wave energy, oil and gas extraction in deep-sea and other extreme locations; marine aquaculture; marine biotechnology; sea-bed mining for metals and minerals; ocean-related tourism and leisure activities; and ocean monitoring, control and surveillance. The ocean economy’s long-term outlook and future contribution to global growth and jobs while managing the ocean in responsible and sustainable ways are key issues. This project is taking a long term view to the year 2030 and will be funded by voluntary contributions by OECD members. In a world where free trade agreements and trading blocks are now common place I am curious how the OECD will somehow view or divide the asset that is the worlds oceans beyond a country's territorial waters. Do all countries potentially share in the benefits and risks or only OECD members? To read more on The Ocean Economy Project you can go to the OECD website.